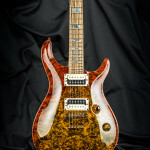 The Kiesel Custom Shop is excited to team up with renown melodic virtuoso guitarist Neil Zaza to offer something special: the Kiesel Designed Limited Edition Neil Zaza Signature Carved Top Guitar. 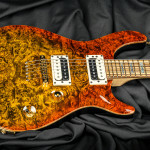 The NZ624KD takes all the features of our popular NZ624 Neil Zaza California Carved Top guitar, and adds many upgraded options as standard features, including a hand-selected, highly figured burled maple top finished in yellow/orange with a “V” burst (the burst travels from the bottom of the guitar to the top, versus around the edges); exotic zebrawood fingerboard with genuine abalone block inlays and jumbo gold EVO frets; a thinner, faster neck profile with tung-oiled finish; and gold hardware. 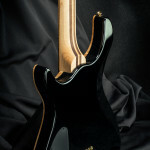 The back and sides are finished in high-gloss black. 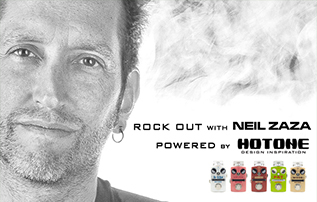 New black/white Kiesel K12 passive humbuckers with a single volume knob and 3-way selector provide a huge range of tone, suitable for any playing style or genre. 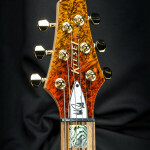 A gold drop-shadow Kiesel headstock logo and white Neil Zaza truss rod cover round out the package. 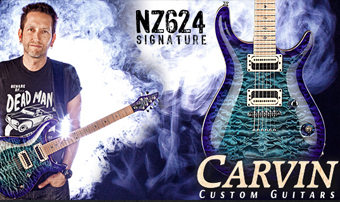 The NZ624KD is a limited edition offering from Kiesel Guitars and the Carvin Guitars Custom Shop, so don’t miss this opportunity to add this amazing guitar to your arsenal! 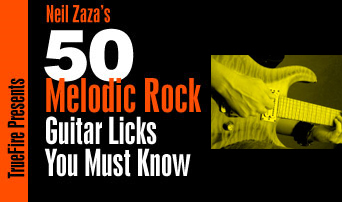 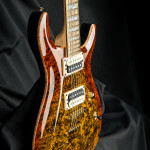 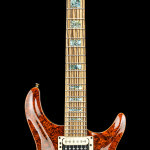 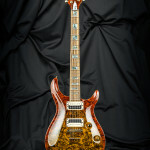 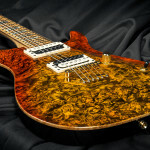 Visit carvinguitars.com to check out the Neil Zaza Signature Guitars and other instruments, and design your new Custom Shop masterpiece today. 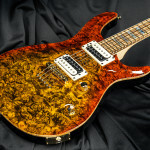 Additionally, be sure to “like” the new Kiesel Guitars Facebook page to keep up with all the new developments coming out of the Custom Shop!